Superficially, the phrase “survival of the fittest” seems undeniably true, but in the proximal and ultimate sense it is false. If this claim is false then Darwinism is also false. The notion of “survival of the fittest” is an illusion in the general sense though seemingly true in the Darwinian sense. Critical oversights in Darwin’s Origin of Species by Means of Natural Selection and in Dennett’s algorithm can be demonstrated. Finally, population genetics can be used to critique Dawkins Weasel, Avida and various other fallacious computer simulations that are used in promoting the falsehoods of Darwinism and Neo-Darwinism. To demonstrate that “survival of the fittest is false” it is sufficient but not necessary to demonstrate “death of the fittest is true”. Is “death of the fittest” true? Yes, in the ultimate sense. There is the rather trivial argument from physics: the stars will burn out one day, the 2nd law will prevail, and all life will cease. The fittest along with the weakest will meet their end. QED. But what about the history of life on Earth? Wasn’t “survival of the fittest” always true for the history of life on Earth? No. Dave Raup’s book Bad Genes or Bad Luck reveals that most extinction in the past happened through natural disasters and bad luck, not bad genes, not Darwinian selection. The notion of “survival of the fittest” of a species presumes there are living members of the species to carry on, but if an entire species, genus, or orders are wiped out, the fittest don’t survive, but rather we have “death of the fittest” along with weakest. Hence, extinction by natural or other disasters is a counter example to the claim of “survival of the fittest”. Using reproductive fitness as a metric for fitness can frequently run counter to intuitive notions of what it means to be functionally fit. And as much as I loathe to bring this up, consider the case of one of the most despised women in America Octomom, Nadya Suleman who has 14 kids. Octomom is mentally unstable, lives on public assistance, bankrupted her parents who obviously sacrificed much for her, and then jeopardized 8 kids by having them all in one pregnancy. 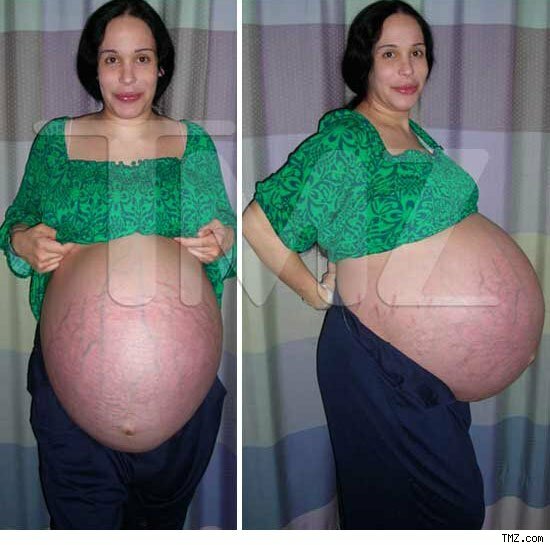 By most common sense metrics, Octomom is dysfunctional and parasitic. Compare her to Oxford professor and millionaire Richard Dawkins who has 1 kid. 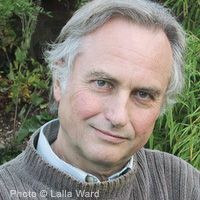 In one sense Dawkins is more functional than Octomom, but in the Darwinian view (which Dawkins subscribes to), Octomom outshines Dawkins in Darwinian virtuosity by a factor of 14. Poetic justice I suppose. Doesn’t “survival of the fittest” imply continued improvement? No. Neither in the functional nor reproductive sense. Some examples would help illustrate. Here we have the situation where the ancestors are reproductively and functionally more fit than their descendants during their respective lifetimes. The “fittest within each generation” survive, but in the larger sense, the “fittest of all generations”, namely the ancestors, died long ago. Hence in the Darwinian sense, “the fittest survived” but in the functional sense across all generation, “the fittest died”. It is very likely that within 3000 years (~120 generations) we have all sustained two or more mutations harmful to our intellectual or emotional stability. Recent human genome studies revealed that there are, per generation, about 60 new mutations per genome and about 100 hetrozygous mutations per genome that are predicted to produce a loss of function , some of which are likely to affect genes involved in human intellect. . . .
we, as a species, are surprisingly intellectually fragile and perhaps reached a peak 2000-6000 years ago. . . . This may seem shocking given that we are more technologically advanced than our ancestors, but it has been provident that even as our brains have declined, the collective knowledge and technology handed down from each generation has simultaneously improved. But what about anti-biotic resistance and sickle cell anemia and blindness in cave fish? Don’t these show generational improvement? In the Darwinian sense of reproductive fitness yes, in the functional sense of being healthy complex creatures, absolutely not. Let’s start with blind cave fish. Blind cave fish presumably evolved to be blind. Living in totally dark environments, functioning eyes became a metabolic liability. Hence, fish that lost their eyesight became more reproductively successful, even though they are functionally disabled. This case highlights the contingent nature of “selective advantage” leading to such absurdities listed in the book Survival of the Sickest: Why W.e Need Disease. I gave a more formal treatment in Dennett’s Strange Idea. Another example of “survival of the sickest” is sickle cell anemia where a defect in the blood enables African populations to better cope with malaria. Individuals suffering from sickle cell anemia would hardly view the condition as evidence of being “fit”. The most logical way to view sickle cell anemia is to view it as an example of how natural selection makes a disease persist. Instead of this logical view, Darwinists have spun this as some sort of vindication of their theory, when in fact it casts serious doubt on the potential of Darwinian evolution to create functionality since natural selection can also perpetuate dysfunctionality. But what about anti-biotic resistance and superbug bacteria? Superbugs are more reproductively successful, but in the overwhelming majority of cases, reproductive success was the result of dysfunction, not increase in integrated complexity. In his article, Is Bacterial Resistance to Antibiotics an Appropriate Example of Evolutionary Change?, Kevin Anderson lists 40 of the major cases of anti-biotic resistance, and almost all were the result of broken pumps, bad expression of proteins, etc. More recently we have Michael Behe’s peer reviewed paper: The First Rule of Adaptive Evolution where Behe documents that most observed instances of adaptive evolution in the lab are through loss of function, and that as general rule, the first line of adaptation is loss of function, not gain of function. Thus, “death of the fittest” better characterizes evolution than “survival of the fittest”. There are two notions of survival of the fittest, the formal definition, and the implicit one in Darwinian literature. One notion is true and the other is false. Darwinists equivocate these notions. A true statement (#1) is often equivocated with a false statement (#2), giving the false impression that notion #2 has been proven because notion #1 has been proven. This equivocation is Darwin’s delusion, a delusion of inevitable progress toward biological complexity and diversity. Philosopher Daniel Dennett’s ideas suffer from the same failures. Darwinism is not a universal acid. It’s not even a coherent theory. Natural Selection is daily and hourly scrutinising, throughout the world, the slightest variations; rejecting those that are bad, preserving and adding up all that are good. As hinted above, there is plenty of empirical evidence to the contrary. Nature has rejected the bad as well as the good (in mass extinction events) and there are documented cases where selection preserved the bad rather than the good. There are cases where selection is precluded from preserving and adding up the functionally fit if the most functionally fit were the long dead ancestors during their lifetime. And last but not least, selection is frequently outdone by random luck as I showed in Gambler’s Ruin is Darwin’s Ruin. Thus, “survival of the fittest” is universally true except when it’s false. It is almost understandable that Darwin thought the next generation had to be better. When we see kids, they look so healthy relative to their grandparents. But now that we understand the mechanisms of inheritance better than Darwin in his day, we now realize that even though a grand kid’s youthful looks demonstrate that he is healthier in his youth than his grand parents in their elderliness, that does not imply the grand kid’s inherited genes are better than his grand parents’ genes. Yet, such failures of insight permeate Darwin’s ideas. Darwin didn’t seriously account for the possibility that ancestors on average are more functionally fit than their kids. To further demonstrate that “death of the fittest” (fittest as in the more functionally fit ancestor) is a more accurate characterization of evolution than “survival of the fittest” I appeal to population genetics. I will first illustrate “death of the fittest” with a simple model and then later augment it with more sophisticated considerations based on the Poisson distribution and papers by Kimura, Nachman and Crowell, Eyre-Walker and Keightley. The following video is a crude 1-minute silent animation that I and others put together. God willing, there will be major improvements to the animation (including audio), but this is a start. Be sure to watch it in full screen mode to see the details. The animation asserts that if harmful mutation rates are high enough, then there exists no form or mechanism of selection which can arrest genetic deterioration. Even if the harmful mutations do not reach population fixation, they can still damage the collective genome. The animation starts off with healthy gingerbread parents. Each parent spawns 2 gingerbread kids, and the red dots on the kids represent them having a mutation. To simplify the animation, the reproduction was depicted as asexual, but the concept can easily be extended to sexually reproducing species. The missing gingerbread limbs are suggestive of severe mutations, the more mild mutations are represented by gingerbread kids merely having a red dot and not having severe phenotypic effects of their mutation. The exploding gingerbread kids represent natural selection removing the less functionally fit from the population. 4 generations are represented, and the fourth generation has three mutations per individual. Note the persistence of bad mutations despite any conceivable mechanism of selection. When I posted this video earlier at UD, I got complaints about the simplicity of the model. I will suggest two refinements which will show that even with moderate rates of mutation per individual per generation, genetic deterioration will happen. Further, this claim is reinforced by the work of Nobel Prize winner Hermann Muller who said a deleterious mutation rate of even 0.5 per individual per generation would be sufficient to eventually terminate humanity. So the simple model I present is actually more generous than Muller’s. Current estimates of the number of bad mutations are well over 1.0 per human per individual. There could be hundreds, perhaps thousands of bad mutations per individual per generation according to John Sanford. Larry Moran estimates 56-160 mutations per individual per generation. Using Larry’s low figure of 56 and generously granting that only about 11% of those are bad, we end up with 6 bad mutation per individual per generation, 6 times more than the cartoon model presented, and 12 times more than Muller’s figure that ensures the eventual end of the human race. The first refinement of the cartoon model comes from Nachman and Crowell’s paper Esitmate of the Mutation Rate per Nucleotide in Humans and The Mutational Load by Kimura. Nachman provides a way to relate mutation rates with the probability of having a eugenically “ideal” child. I hypothesized Nachman and Crowell were using a Poisson distribution as reasonable model for the probability of a eugenically clean individual appearing in the face of various mutation rates. And sure enough, with a little sleuthing help from my UD colleague “JoeCoder”, it was confirmed in Kimrua’s paper (see eqn. 1.4) which Nachman and Crowell, and Eyre-Walker and Keightley referenced. This was important because up until that realization, I felt uncomfortable not knowing how those probabilities were derived. But now that it is clear that professional population geneticists are using the Poisson distribution to estimate probabilities, there is transparency in their model, and that makes the cartoon model defensible. The Appendix Notes in the comment section will provide a justification for the Poisson distribution. which is in full agreement with Nachman and Crowell’s equation in the very last paragraph and in full agreement with an article in Nature: High genomic deleterious mutation rates in homonids by Eyre-Walker and Keightley, paragraph 2. The simplicity and elegance of the final result is astonishing, and simplicity and elegance lend force to arguments. In other words parents would have to be acting roughly like 100 Octomoms or 800 Richard Dawkins just to make one eugenically “ideal” baby that doesn’t have any new mutation (but still has all the bad mutations inherited from mom and dad). These calculations suggest, if Darwinism is true, the world needs far more women with the virtues of Octomom. For humanity to survive, even after each couple has 807 kids on average, we still have to make the further utterly unrealistic assumption that the eugenically “ideal” offspring are the only survivors of a selective process. Hence, it is absurd to think humanity can purge the bad out of its populations — the bad just keeps getting worse. In truth, since most mutations are of nearly neutral effect, most of the damaged offspring will reproduce, and the probability of a eugenically ideal line of offspring approaches zero over time. Therefore the cartoon model which assumes at least 1 new mutation per individual per generation is reasonable, and as I pointed out, the cartoon model is actually generous given Muller’s number of only 0.5 new mutations per generation per individual. The cartoon however graphically conveys the gravity of the problem. Finally, how does this relate to the flaws in Dawkins weasel, Avida or any other conceivable genetic algorithm falsely used to defend Darwinism? These models notoriously don’t allow the offspring to move progressively farther from a desirable ideal with each generation (as illustrated in the cartoon model). Dawkins assumes cumulative selection, but this suffers from the flaw of assuming the all descendants are at least as good as the ancestor (the implementation of Dawkins Weasel disguises this fact). Computer simulations that assume offspring are at least as good as parents are obviously flawed, and more subtly, simulations that allow offspring to be on average better than their parents are also flawed. I leave it to the developers of these simulations to fix their bugs and conceptions. This is the 2nd refinement to the cartoon model. Let developers of evolutionary simulation incorporate the above considerations into their programs. We have models from nature that show “death of the fittest” better describes what’s going on in nature, and the notion of “survival of the fittest implies inevitable improvement with each generation” is Darwin’s, Dennett’s, and Dawkins’ delusion (DDDD). Walter ReMine, JoeCoder, JGuy, DLH as well as my friends, colleagues, critics and detractors at UD, PandasThumb, ARN, TheSkepticalZone, NCSE and the Discovery Institute.